1879. "The Mississippi Plan." 1880. The States. 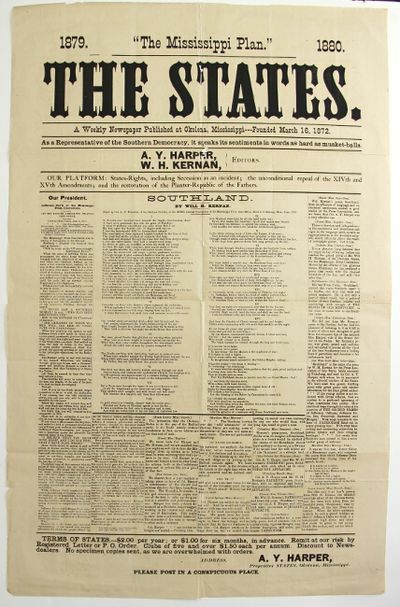 A weekly newspaper published at Okolona, Mississippi ... as a representative of the southern democracy, it speaks its sentiments in words as hard as musket-balls. A. Y. Harper and W. H. Kernan, editors..